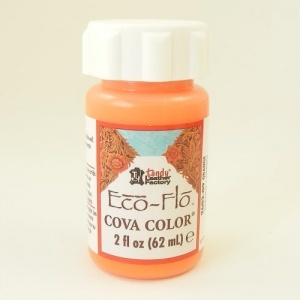 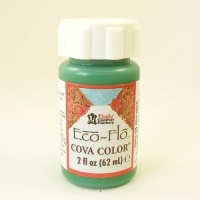 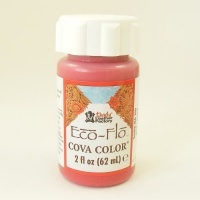 Tandy Eco Flo Cova Color is an acrylic leather paint, suitable for use on undyed vegetable tanned leathers. 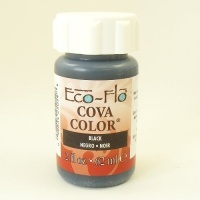 It's available in a wide range of colours, which can all be mixed to achieve exactly the colour you want. 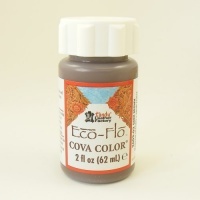 It's a water based, low VOC leather paint that is opaque when used full strength, but can also be thinned to your desired consistency using water, to produce a more transparent dye. 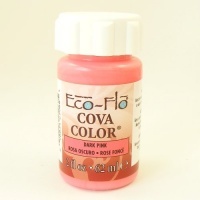 You can build up several coats of this paint, but please let the first dry before you apply the second. 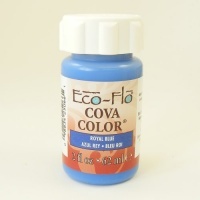 For a hard wearing surface, you can seal over Cova Color with Eco Flo Satin Shene or Super Shene.